Clay County is located in central West Virginia, northeast of Charleston. It occupies 346.4 square miles. 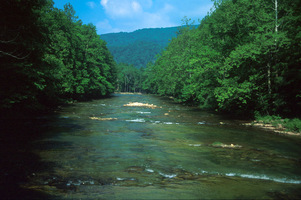 The Elk River bisects the county from east to west, entering at Duck and leaving at King Shoals. Rugged, laurel-covered hollows dart back from the narrow river valley, and level land is at a premium. Clay, the county seat of Clay County, was named for Senator Henry Clay of Kentucky, a leading statesman of the era. 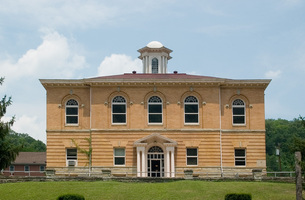 The county courthouse is listed on the National Register of Historic Places. The Elk River meanders 177 miles from its headwaters in Pocahontas County westerly to its confluence with the Kanawha River at Charleston. 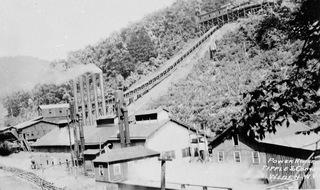 Widen was built as a coal company town in 1911 by the Elk River Coal & Lumber Company. At its peak, about 3,000 people lived in Widen. Former residents return each year for Widen Days. 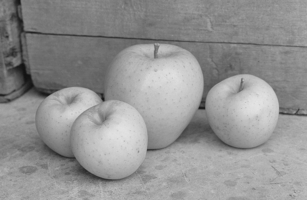 The original Golden Delicious tree, described as a ‘‘chance seedling’’ and believed to be related to the Grimes Golden, was discovered in 1912 by Anderson Mullins on a hill near Porter Creek in Clay County. At a spot known as the End of the World, the Elk River runs along sheer cliffs for about a mile, making such a sharp turn that it appears to come to a dead end against the hillside.